Description: Create words with the letters on the playing field. Instructions: You can only use free tiles. Tiles are free if they are not covered and have at least 1 side. The longer the words the more extra points. Remove all tiles to advance to the next level. Lots of wild cards so you can get creative. great game, plenty of wild cards, tiles do not have to be adjacent or in the correct order (or even in the same general area) when selecting for a word. 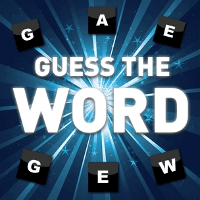 A good word game, difficult to clear the board. Keep trying. Make as many words as you can from the tiles to remove the tiles from the board.